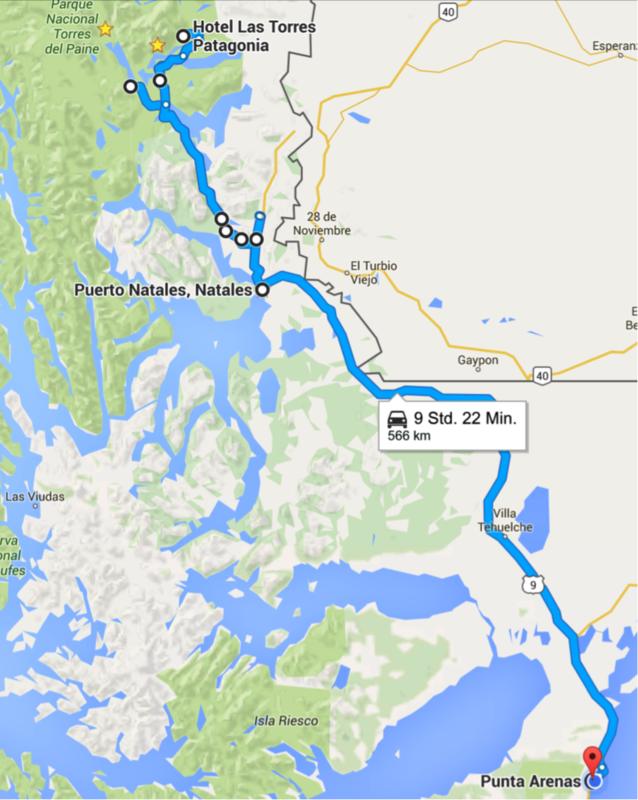 Below you will find my trip from Punta Arenas to Ushuaia, back to Punta Arenas. 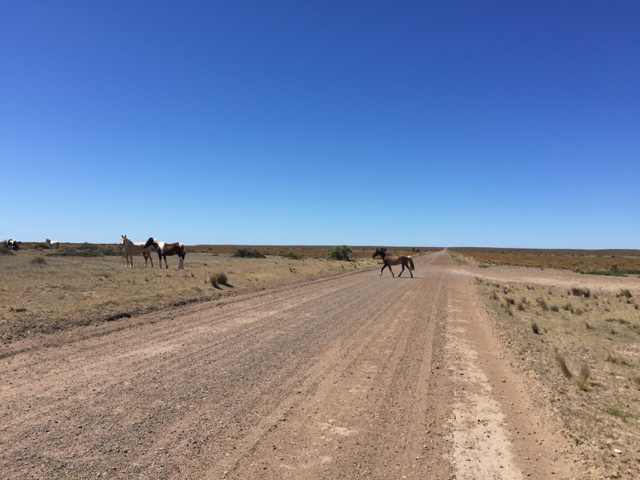 Then via Rio Gallegos to Península Valdés and further to Bariloche. 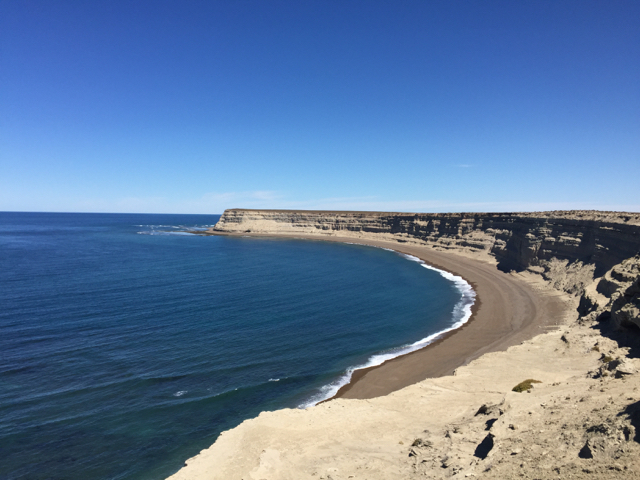 The sun is shining and I decide to stay another night here in Pto Madryn and will do a day trip without luggage to Punta Ninfas. 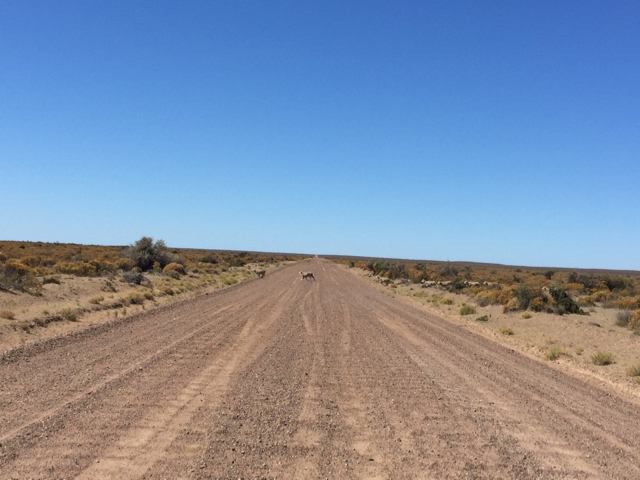 Unfortunately this 70km dirt road is so boring. 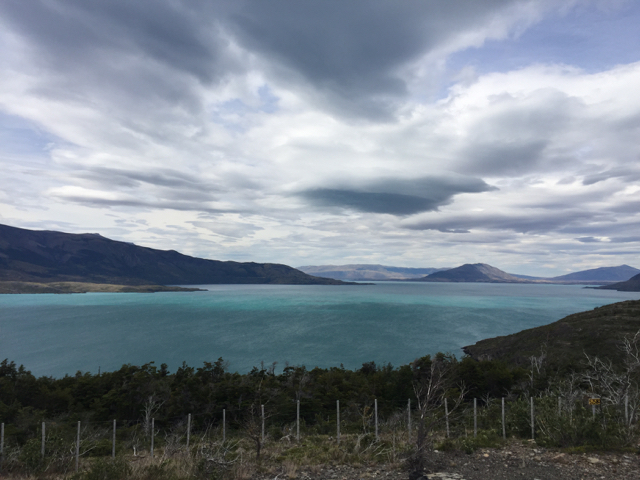 I stand up very early to reach the ferry back to Punta Arenas. Everything is packed and my last egg is boiled because I can’t take it over the border to Chile. The sun is shining at 8°C and I’m fighting with the wind. 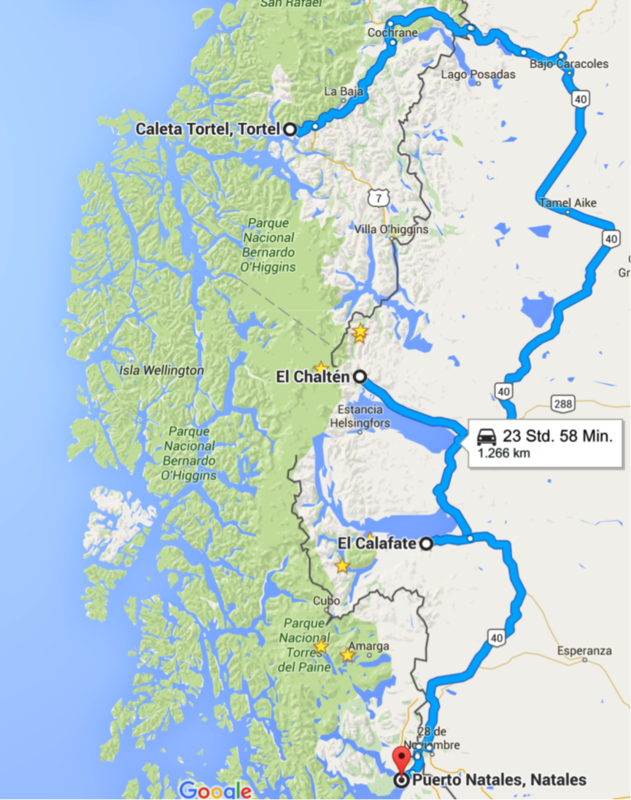 Reaching the Argentinean border at 10 a.m. I’m in Chile at 10.30 a.m. giving me enough time. But my GPS is not working anymore. It re-boots all the time. 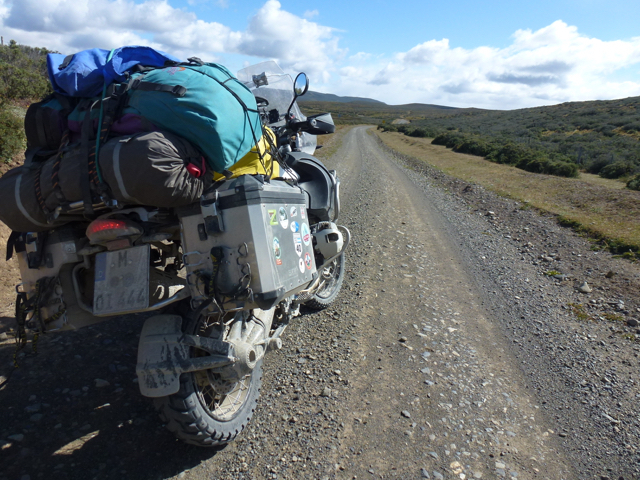 Not important for now because I know the way and following Alex’ and Heinz’ hint I turn right 60km ahead of Porvenir into a nice small road which is open only in summer time. It goes up and has bends, too. But it is getting damned cold (4.5°C). It’s time to reach warmer areas. Even though I don’t know if I really like the 40°C in Buenos Aires. After taking out the SD-Card and re-booting my Garmin works again. Good news. Earlier than expected we reached Pta Arenas at 4.15 and immediately I drive to Alejandro for my new tire. He says if I leave it there I can pick it up at 6 p.m. because he has to wash the bike completely before it can enter the hall. Then I asked him just to take the back tire and I take it off. I stand up very early and I’m in time at the harbor. And who was already there when I arrived: Isi. They don’t have as well a ticket and so I looked for Alex who already queues. We’re lucky and got tickets for today! And the price is fair: $ 11.300 (€ 16,-). 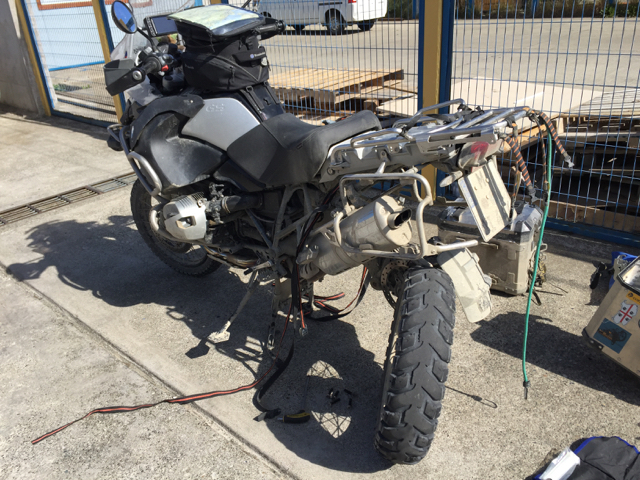 After an endless search for a dealer who has tires for my motorbike I finally found one in a little street who has “my” Heidenau available for $154.000 (€ 200,-) – only the rear tire. Then I visited the Museo of Magallanes that contains interior of that time. 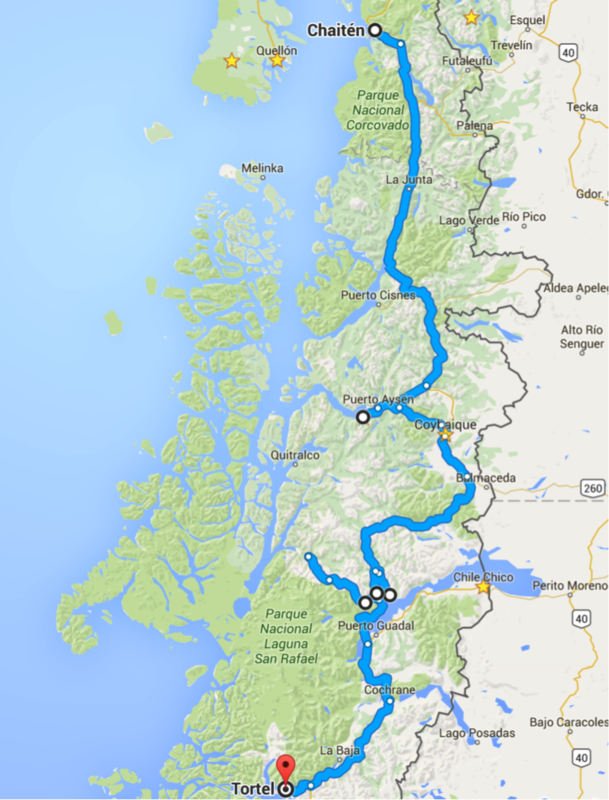 Below you will find my trip from Chaitén to Punta Arenas. 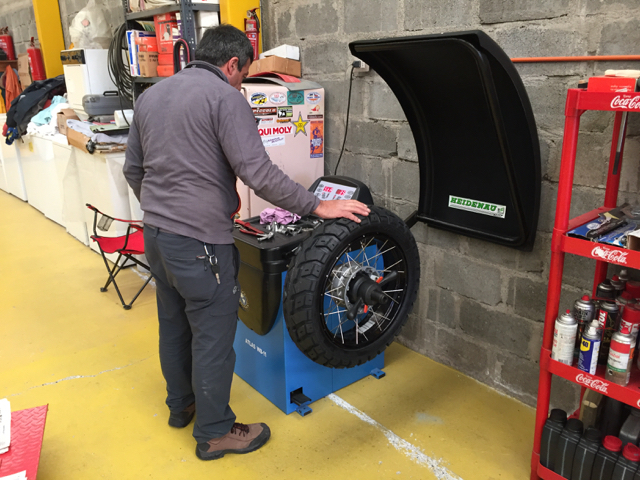 After a lot of issues with the flat tire (many tries were not successful) we finally ended up in a nice Cabaña in La Turia where Diego, who came by on his way to his home, was so nice to offer it for free (!) and brought Alex back with a tire that worked at least for some kilometers. 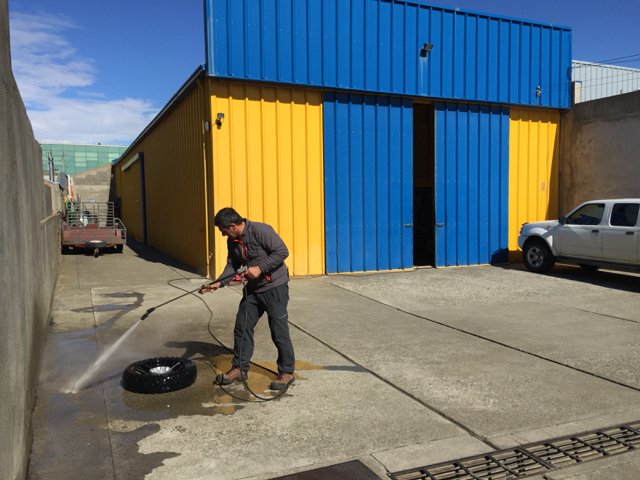 After border crossing, which was very easy again, he had again a flat tire 5km ahead of Puerto Natales. We were looking for a hostel and luckily got one with 3 beds available. An endless search for a new tube ended up in a still too small one. 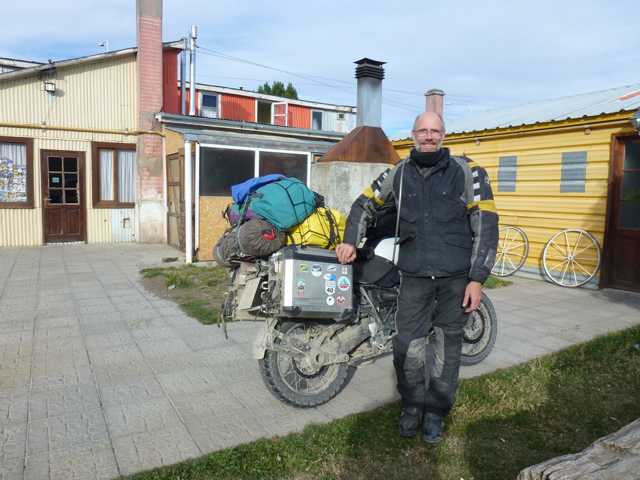 But he was able to bring the motorbike to the hostel. 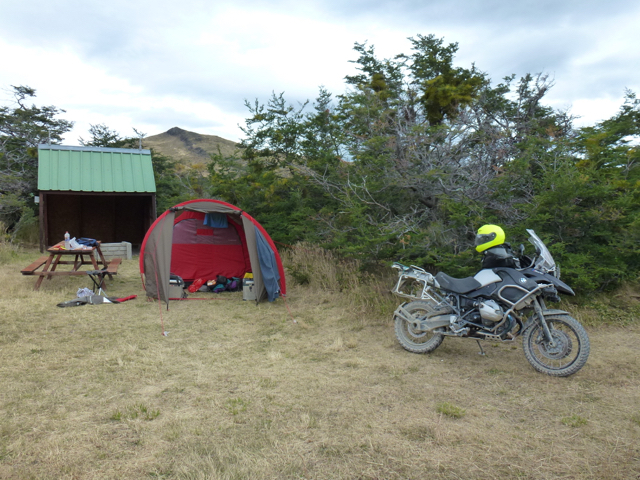 Then we said goodbye because they want to go to Torres del Paine by bus for a 5-days trip while I’m going by motorbike for day trips. Already the way to the national park was nice. And the park itself is indescribable. 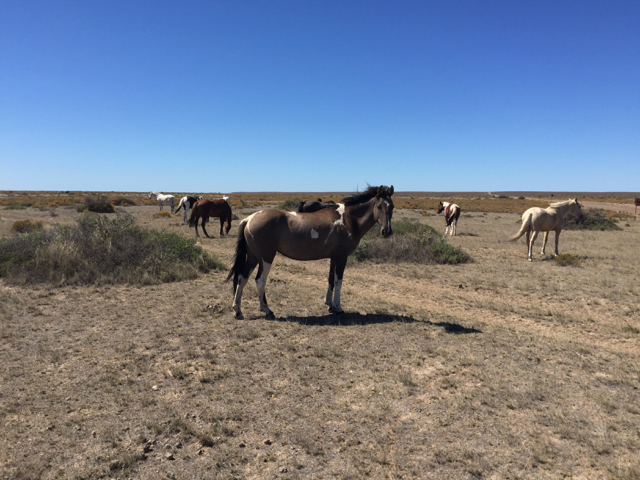 I found a great camp ground in the middle of the park which was the best starting point for the 3 days.